29-year-old from seven months pregnant woman, Charlotte Robertson Wiltshire, has told how she still performs gravity defying tricks. 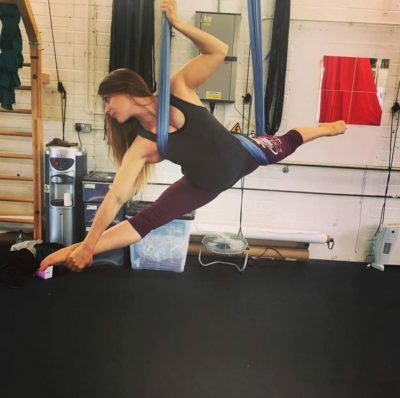 The Fitness fanatic can still hold herself upside down and has even performed on stage at the renowned Pole World Festival in Bristol while carrying her first child. “When I found out I was pregnant, my first thought was to protect my unborn baby. “I knew I wanted to carry on with pole, but that I’d have to adapt. 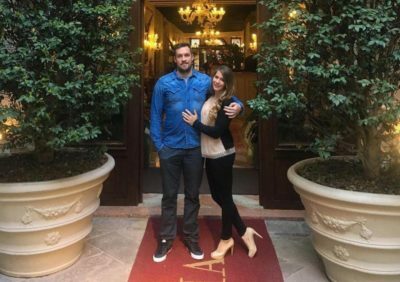 Charlotte, who is expecting a baby with her partner Luke, 34, a personal trainer, has always been into fitness – competing in gymnastics at an elite level as a youngster. Around six years ago, she decided to try out pole-dancing to expand her repertoire, and was instantly hooked. She studied to become a qualified instructor and soon began competing nationally. Now, she leads workshops all over the world and has even been crowned UK Elite Pole Champion. Charlotte said: “Pole allows me to get back to my gymnastic roots and I find it really fulfilling, for both my competitive and training needs. Earlier this year, Charlotte, who also owns an active wear company called Live Love Bend, discovered she was six weeks pregnant. Up until 12 weeks, she continued her pole work-outs as normal.